A can in need is a can indeed. Canned beans, I meant. 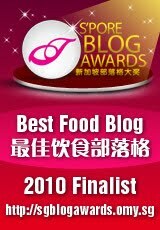 Though bulk dried beans is most budget-friendly and relatively healthier (without potential harmful effects from the can inner-wall lining), it is not a time-saver with soaking and boiling taking more than 1 hour in total. With canned beans, the prep and cooking time is reduced by almost 80% and when you have to prepare a meal in about 30 minutes or less, canned beans is a god-send. 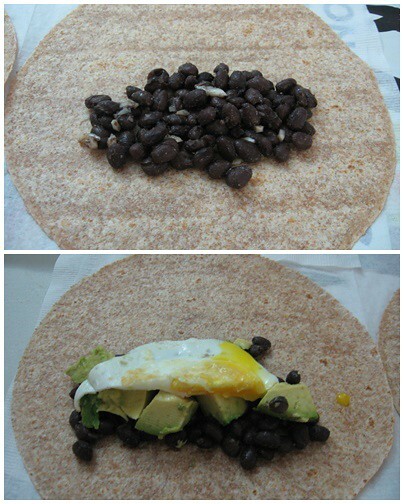 Garlic-Cumin Black Beans, avocado and fried egg - how does that sound as burrito filling? 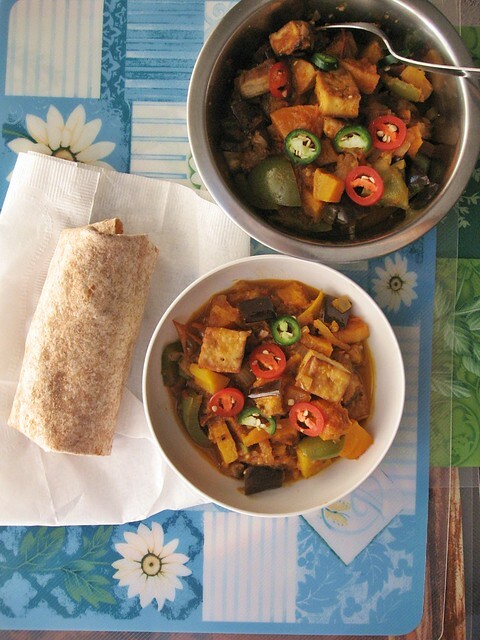 Pair it with a hearty, wholesome and nutritious Tofu, Eggplant, Butternut Squash Curry for a perfect meal, lunch and/or dinner and if you want - breakfast! Directions: Saute garlic and cumin in a little cooking oil, add the drained beans and gently mix in the pan/pot. Cover pan/pot and simmer at low-medium heat for about 8 minutes. Turn off heat. Salt to taste. Garlic-Cumin Black Bean Wraps: Fry 1-2 organic eggs, slice an avocado, warm up whole-wheat tortilla; then add the cooked beans, avocado dices, and fried eggs on the tortilla, fold and wrap tightly to make a burrito.